With the centenary of the Burtle Silver Band, celebrated in 2005, coinciding with the end of the Moxey line of conductors in charge, it was obvious that changes were going to take place and over the ensuing years many changes of personnel have taken place within the band. 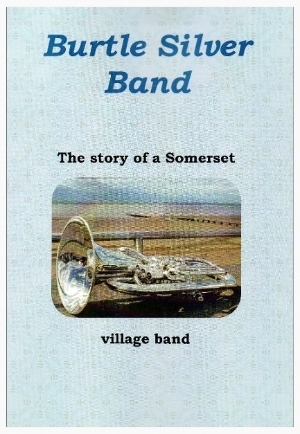 With this in mind it seemed a good idea to produce a record of the band from its inception to the present day for the benefit of those who had no idea of its origins or indeed how different an old style Somerset village band is from a town or contesting band. Being somewhat fanatical about local/social history I was fortunate in having already transcribed an old diary which had been kept by the founder of the band, Allan Moxey and also a short interview recorded of his wife Lucy, by their grandson Pat Moxey, together with a number of old local press cuttings. The book consists of items from these sources together with many other references and photographs provided by current members and friends of the band, to whom I am indebted for the final result, which is now available for £7.50, which after costs will be for band funds.